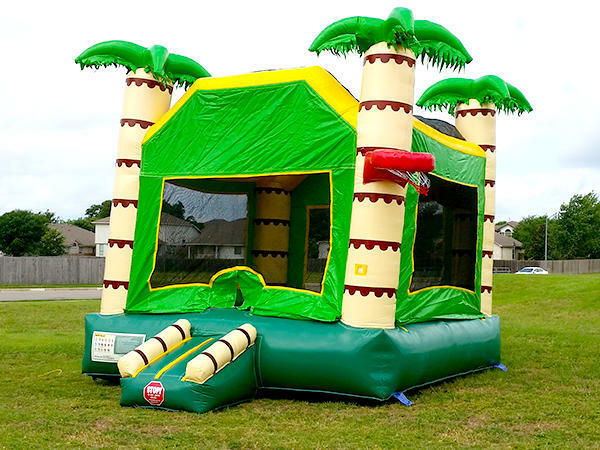 Kick your feet up and relax in paradise while the children at your next event enjoy our new tropical themed Palm Tree Bounce House. This moonwalk is perfect for children of all ages and it includes a basketball goal for the young athletes. This moonwalk is perfect for festivals, corporate events, school parties, backyard parties and more.